Size: 6″ (153mm) 2 baits per pack. All models UV fluorescent. Great for trolling, jigging and for inshore fishing for sea trout, snook, redfish and flounder. Good for bass, too. 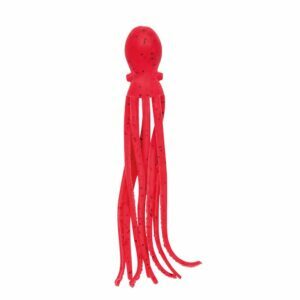 The bulbous head, bulging eyes and suction cups give this bait a strike inducing profile while the super soft plastic enables legs to flutter and quiver with the slightest movement. Hollow heads accept weights. Super stretchy, soft and durable, this bait will outlast anything in this class of baits. Will not harden or dry out. Will not harm fish or animals if ingested. Copyright © Nikko-kasei Co.,Ltd All Rights Reserved.